The following article was featured in the November 2018 edition of ATN (Australian Transport News) and written by Ruza Zivkusic-Aftasi. In its 43rd year, the Glen Cameron Group is all about developing a long-lasting future. The company’s founder, Glen Cameron, has seen many changes within the transport industry in his time, but one thing is for sure: in order to grow, one must embrace change. The business has grown by 30 per cent over the last three years, all organically. As a result, the group is 18 months away from rolling out a new enterprise resource planning (ERP) software system that interfaces with its MT Data telematics solution, in an investment worth several million dollars. Two years in the planning, the new system will provide real time data, connecting its systems to everything from trucks to HR, fleet, operations, subcontractors and payroll. “Technology is a massive value-add to the transport industry as a whole; it helps us search for ways to find efficiencies in the business and it’s been a long time evaluating all the different platforms out there,” Cameron says. “Without it, our business probably wouldn’t survive. It was, many years ago, just a truck and driver business, whereas today technology takes us to the next level where we can provide solutions and outcomes for customers that actually really add value. Having started working for his father, Ed Cameron, when he left school in 1970, Cameron soon faced life-changing trials when his father decided to sell the business six months later. Cameron stayed within the business, working for the new owner for four years, but was then sacked on Christmas Eve. In June 1975 he started his own business with one truck. “They’re no longer here as they went belly up, so you could say I’m having the last laugh,” Cameron says. “I always thought I was going to run my dad’s business one day, so that was always my dream as a kid. “I was a bit of a truckie at heart; I had loved what Dad had done and was extremely proud of him. “I wanted to follow in his footsteps, but not long after I joined he sold the business and that was shock, largely because at that point in time it felt like the rug was pulled under my feet. The second lesson he learnt is to have a fighting spirit. “You have to fight pretty hard and fast in this industry because you never know where the knives are coming from, it’s changing so rapidly,” Cameron says. Times are equally as hard nowadays, but Cameron has become more bulletproof. Starting his own business at the age of 22 meant he had to earn the trust of many people. Proud of his name and his father’s achievements, Cameron has always delivered what he’s promised; saying loyalty is paramount in this business. His success also comes down to Cameron proving his father wrong – showing him that he’s got what it takes to be an operator. “Initially it was about me trying to prove it was a mistake, that dad should have kept the business,” he says. Ed, who passed away two years ago, was very proud of Cameron’s achievements, he adds. Cameron has come this far thanks to a great team of employees and contractors within the industry, some of whom have been there since day one. With eyes set on the future, the group has been heavily investing in new Volvo fleet. Eighteen of the new Euro 6 vehicles are off to work for Woolworths. Always on the lookout to gain a competitive edge, the group is always evaluating different products, measuring how manufacturers are tracking in delivering new and improved features and technology. 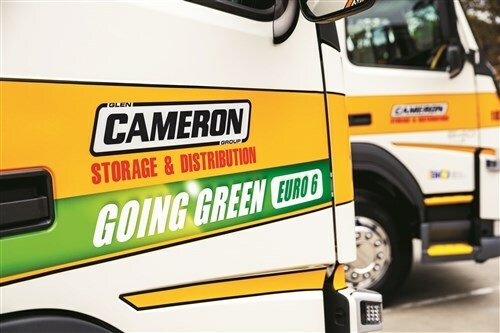 Over the last 12 month, Cameron’s has replaced around 80 Euro 5 trucks with Euro 6 trucks, purchasing Volvo, Scania and Mercedes Benz Euro 6 vehicles. “It’s a big investment on our part, it’s part of our fleet replacement strategy,” says Shane Coates, group asset manager for the Glen Cameron Group. The data that the new fleet collects is a by-product of digital technology is also such an important deliverable in what the company does, he adds. “We now retain so much data and we have to sort the good data and find out what best suits our business. “We’re well and truly on that journey and I think if we can get to deliver what we’re aiming to do with our technology platform, I think we’ll be at the pointy end in our industry in terms of our technology and knowledge about our business in real time in what we are able to offer to the market. 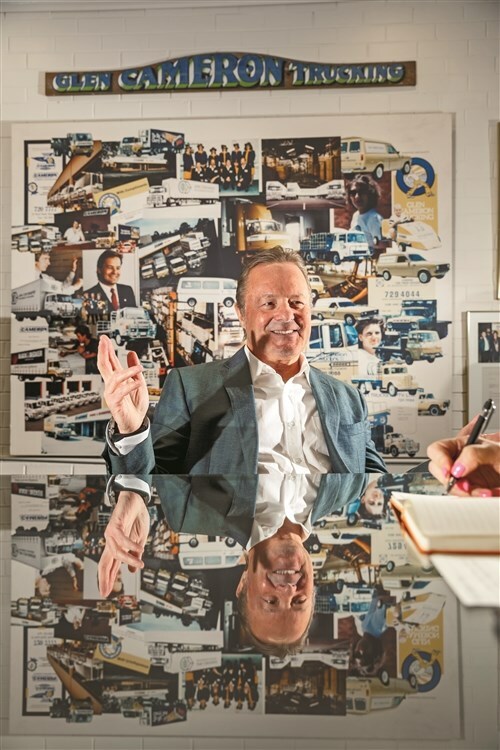 “What a transport business looked like 20 years ago and what it looks like today is very different; you’ve got to keep on evolving your business and how you engage with customers, and the technology that enables you to do so much more. “It’s just not enough today, to just turn up with a truck and a driver anymore. There is now an expectation that you have to deliver far more than that, but if you haven’t evolved your business to deliver more then you’re probably not going to be around. The group has always gone for a mixed fleet because that’s the best way to keep track of and fairly evaluate the best products on the market, which can change for a variety of reasons, Cameron says. The company gets the bulk of its truck maintenance done offsite, saying it’s a transport business, not a workshop business. “We want to focus our efforts and our resources on running a really good transport business, not fixing trucks,” Coates says. The average age of their fleet is three and a half years. What sets the Glen Cameron Group apart from its competitors is its personal approach, where anyone can reach Glen Cameron directly over the phone or in person. Indeed, someone will always answer the phone. 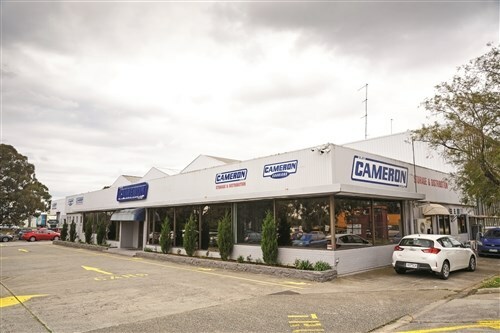 Whilst many large businesses are becoming more corporate, Cameron wants his company to hold family business values, remain flexible, adaptable, and quick to move and embrace new initiatives. “We’re big but still small enough to be able to react really quickly, move and shift and engage with our people, and bring solutions to the table for customers,” Cameron says. By introducing new technology and software into the business, the company will continue to grow at a comfortable pace, he adds. With Heavy Vehicle National Law and Chain of Responsibility law changes coming into effect last month, Cameron says he has no real concerns, but believes it’ll put greater discipline into some of their systems and processes. “It’s a challenge that we all should be up for and deal with, it’s about safety for the general public, employees and other members of the public,” he says. Coates says the company has always focused on getting safety right. “We’re of the view before it become so prevalent in our industry there was always a big focus in our business to get safety right the best we can, and there’s no excuse for putting any of our employees in a dangerous situation. “Because there’s been a big emphasis on safety for a long time, and whilst it’s a new world we’re operating in today, we feel we’re really well prepared and positioned for it, because the mantra of the business for many years has been ‘if it’s not safe, don’t do it’. Cameron’s health and wellbeing department has also grown over the years, all part of the industry awareness nowadays, he adds. The company has also been running driver fatigue monitoring for five years through its MT Data telematics solution. “It’s still a learning curve for drivers as we’ve got an ageing workforce and some of them aren’t computer savvy, so it’s a lot about education and training, but once they get the hang of it they’re fine,” Cameron says. Don't know your contact details?